With so much noise on social media and such short attention spans, it’s not always easy to engage your audiences. There’s a much smarter way to create change using the power of Storytelling. 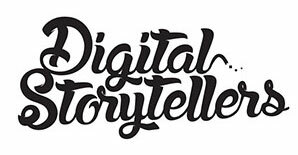 Digital Storytellers can help you plan and deliver an Impact Campaign that gets measurable results. By placing a pebble upstream, we can guide you towards successful outcomes with fast and simple tools that we use ourselves every day such as our Impact Campaign Map. We offer a fun, fast and fabulous half day Impact Campaign clinic. to help you identify your ideal audience and map content objectives to reach impact outcomes. You will walk away with an Impact Campaign one pager that sets your course for success. Ask our team about your Impact Storytelling Campaign today. You can also download our Impact Campaign mapping tool below. Try it out for yourself, completely free – please let us know how you go! Together, we can tell stories that matter and make change happen! Hint: It’s not all about the cameras! Ready to co-design your Impact Campaign with us?